Diyorama gets new name: "Papercade"
Time for a Diyorama update! We’re renaming it to Papercade. We believe that to make the best creative social game we can Papercade will likely go through many evolutionary stages. We want a game where players of all skill and experience levels can express themselves and create their own original mini-games. Papercade reflects that by harkening back to the simplicity and accessible nature of grade school diorama boxes and paper collages. 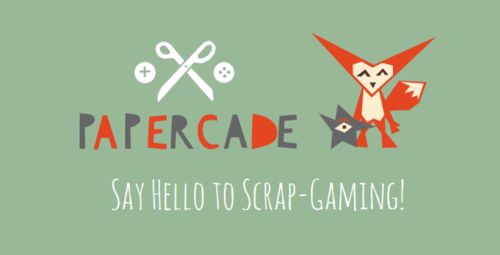 So, say ‘hello’ to scrap-gaming and join us over on www.papercade.com.